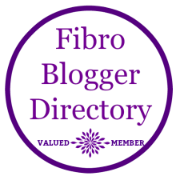 FibroMyArseAche: DLA - PIP Sooner than we thought!! Got a dreaded brown envelope on the mat today and my stomach sank. When I opened it they said it was to do with my claim for my Daughter. Her claim has recently been renewed and they said it was due for re assessment in 2019. The letter said it contained important information about how DLA is being replaced with PIP. I thought all this was not happening till 2015 so it was a shock to say the least. I will copy from my letter what they said. A new benefit called Personal Independence Payment will begin to replace Disability Living Allowance for disabled people aged 16 to 64 from 8th April 2013. If there are changes in how your health condition or disability affects you on or after 7th October 2013 then you'll be asked to make a claim for PIP. If your award is due to end or reviewed on or after 7th October 2013 and you've not already received a renewal letter about your DLA then you will be asked to make a claim for PIP. Everyone else on DLA will not be contacted till 2015 or later. Unless you report a change. If the young person turns 16 before 7th October 2013 they continue to claim DLA but will have to swap to PIP sometime in the next few years. If the young person is due to turn 16 on or after 7th October they then need to decide if they wish to claim PIP. If you are 65 or over on or before 8th April 2013 you do not need to claim PIP. You will continue to get DLA as long as your circumstances do not change. If you reach 65 after 8th April 2013 then you will not be contacted till 2015 or later. I have cut it down and taken the waffle out but basically that is what they said. So my Autistic son who had an indefinite award will now need to migrate to PIP. Good job the DWP and myself agreed he was not ready to take over his own affairs yet as he would totally freak out about all of this and more forms and medical checks. I feel like there is a black cloud hanging over me. I am so scared of the next thing through the door. We are ill and barely able to do the basics without the threat of the WCA and DLA to PIP nonsense.